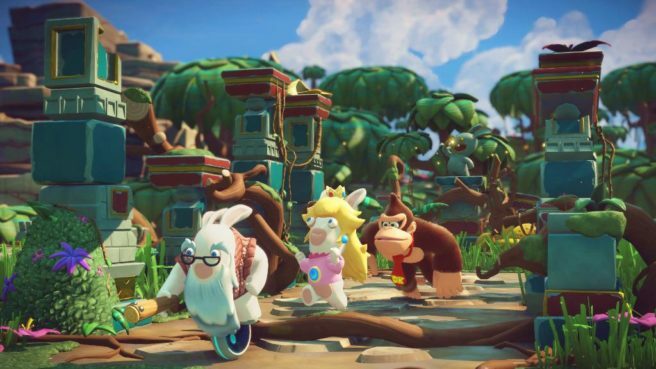 The next update for Mario + Rabbids Kingdom Battle has gone live. Version 1.7.561410 is now available. If you have the season pass (or Gold Edition), you can begin playing the Donkey Kong Adventure DLC. It’ll be available to all players tomorrow. Note that in order to begin playing the DLC, you need to complete Ancient Gardens (World 1) once.